The Dan Beard Eagle Scout Association is recognizing current Dan Beard Scoutmasters who provided opportunity, experience, leadership and guidance in advancing our youth to Eagle Scouts. The award recognizes the influence they have as Scoutmasters, as being mentors and role models, to our youth. Be currently a Scoutmaster in the Dan Beard Council. Was the Scoutmaster of their troop when a youth achieved the rank of Eagle Scout. 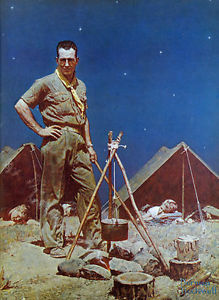 Provided the development of youth leadership within the troop. Projected a positive image of Scouting in the community. Submit a complete form to the Dan Beard Eagle Scout Association. Fill out the nomination form to contact@eagles.danbeard.org by August 15th. The Dan Beard Eagle Scout Association will review the nomination forms and select the recipient(s).